If one of the applicants is a resident of Huron County, then the license will be valid anywhere in the State of Ohio. If both applicants are from out-of-state, then the license is valid only in Huron County. (Applicants will need to talk to a Probate Clerk for further information if they are coming from out-of-state). If one or both of the applicants require the services of an interpreter, applicant(s) will need to talk to a Probate Clerk for further information. Must present current government photo identification such as a Driver's License, State ID or Passport. Must present certified copy of Birth Certificate from the County Health Department or the State Vital Records Department of Health. The Court will not accept certified copies that are laminated; torn; and/or taped together. Birth Certificate must list the applicant's date of birth, place of birth and parents' names. If one or both applicant(s) were previously married and divorced, applicant(s) must present a copy of their Divorce Decree. If one or both applicant(s) are widowed, applicant(s) must present a copy of the death certificate. Marriage License fee is $57.00. Can be paid by cash, credit, or debit only. No personal checks will be accepted as payment. *Processing fees will apply for debit or credit card payments. Marriage License is valid for 60 days. There is no waiting period to use your Marriage License. Both applicants must come to the Probate Office together with all the above documentation. 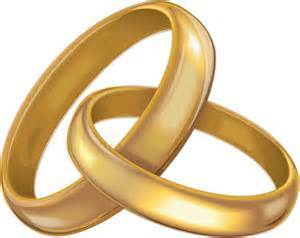 The officiator who will be performing your marriage must be licensed in Ohio. Please let the Probate Clerk know if the person who will be marrying you is coming from out-of-state. Credit Card payment can also be taken by phone to obtain a certified copy of your marriage certificate. Additional processing fees will apply. You can call and speak to a Probate Clerk for more details.